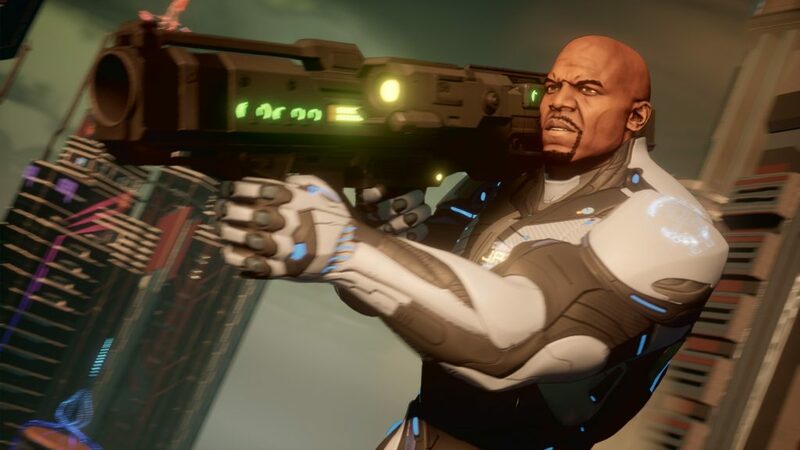 Perhaps Crackdown 3’s most endearing trait, is also it’s largest flaw and that is similarity. 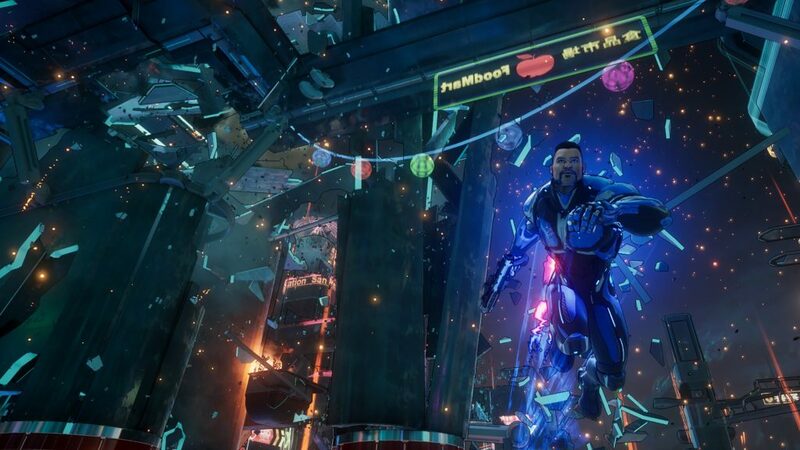 What the promise of what Crackdown 3 was SUPPOSED to be, versus what we ended up getting is well documented. I could spend a thousand words recounting the myriad of issues this game had during development, but that dead horse has already been well beaten, and truthfully has no bearing on the game in front of me, I can’t review promises and E3 hype videos, the only thing that I can review is the finished (as much as any game is “finished” upon release) product. (Metaphorically cracks knuckles) So lets get to it. 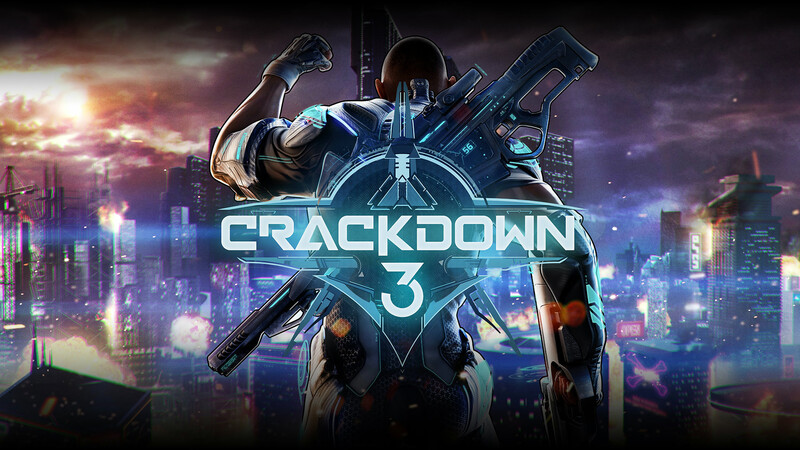 Crackdown 3 opens with a fun cutscene of Commander Isaiah Jaxxon Played by the incomparable Terry Crews (who is the highlight of this game) and his team of agents about to storm the city of New Providence after a series of attacks which knocked out the worlds power are traced back there. Strutting with all the cheesy humor and bravado of any lead character of the best 80’s action movie, he launches into a speech that wouldn’t feel out of place in the latest “Expendables” movie. That is, until their ship is attacked, seemingly killing everyone on board, that is except the Agent you will choose to play as. 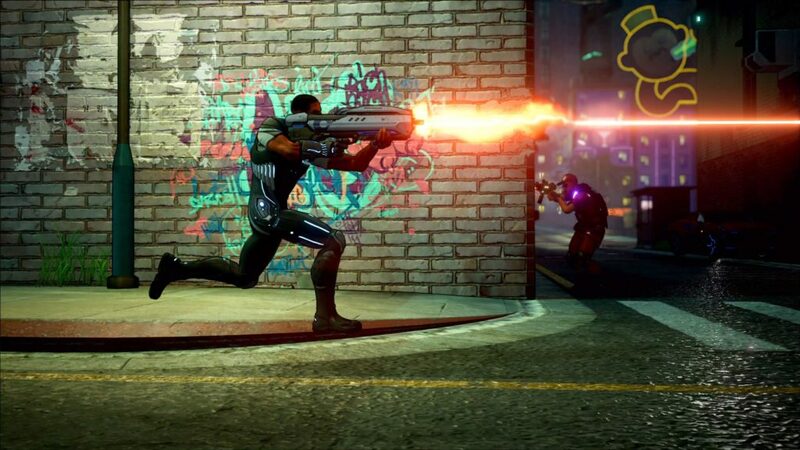 Each agent offers a modest boost to your starting stats, whether it be Driving, Agility, Firearms etc your choice will impact the early part of the game, although by the end you should have upgraded all of your skills negating this early game function. After your initial meeting with Echo (under less than ideal circumstances) who explains that the attacks were caused by the Terra Nova Corportation headed by the mysterious Elizabeth Niemand, you are turned loose upon Terra Nova, to tear down their operation piece by piece and by any means necessary. New Providence: I loved the layout of the city, and the design aesthetic. I appreciated how they included everything from the most depressed shanty towns on the outskirts, to the largest skyscrapers that looked like they got pulled from Tron or Blade Runner, all with nooks and cranny to explore, but at the same time the city felt completely empty, sure there were a few people sprinkled here or there, but unlike per se Gotham City which is a character unto itself, New Providence just felt like a lifeless sandbox. Where your actions really made no meaningful difference to the environment. Gunplay: The gunplay is fun, especially mixed with the abilities you earn as you level up, chaining in air acrobatics with ground slams, and transitioning into blasting fools with a rocket launcher really doesn’t get old, and the variety of weapons is hilarious, everything from standard automatic rifles, to plasma guns and vortex shotguns. I am a HUGE fan of the targeting feature in this game, and think that more games of this type should adopt some form of it, as it allows you full freedom of movement without having to worry about pin point accuracy. But the controls are far too loose, offering no real precision especially when you are trying to jump from one platform to the next. I can’t count how many times I thought I had a jump nailed only to sail well past my target and have to try again, If they had bothered to tighen the movement up a bit it would have gone a LONG way. 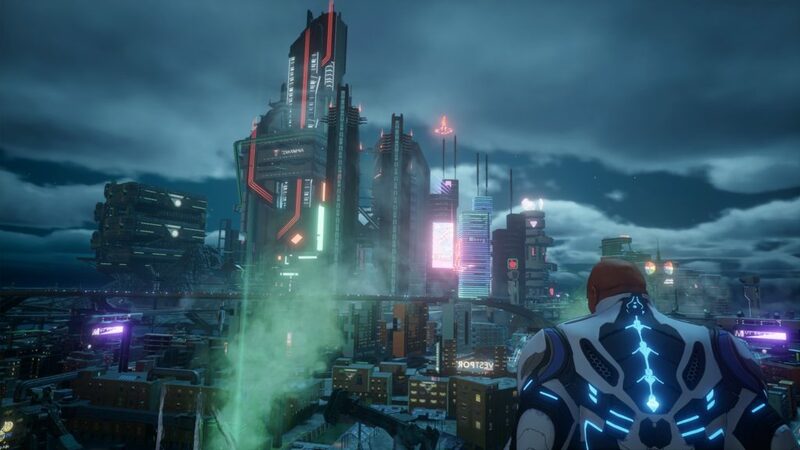 Graphics: I am a big fan of the Cel-Shaded style that Crackdown 3 utilizes, as it makes the game feel more like a comic book, which fits the aesthetic of this game perfectly, but at the same time it looks decidedly “Last Gen”. Not that I’m a graphics junkie, I prefer solid and rewarding gameplay over visuals any day. I just think that the developers could have leveraged the engine just a bit more to provide a higher level of detail especially seeing as how Unreal Engine 4 is capable of sooo much more. Enemy A.I. : While I didn’t go into the game expecting a “Dark Souls” like challenge, I was surprised at how generic the A.I.was. I’m not sure if this was a deliberate design choice, or just the game being rushed out the door, but I never experienced anything that put me under duress at any point of the game, matter of fact it only got easier as my Agent unlocked higher tier abilities and weapons, even the boss encounters were fairly straight forward. 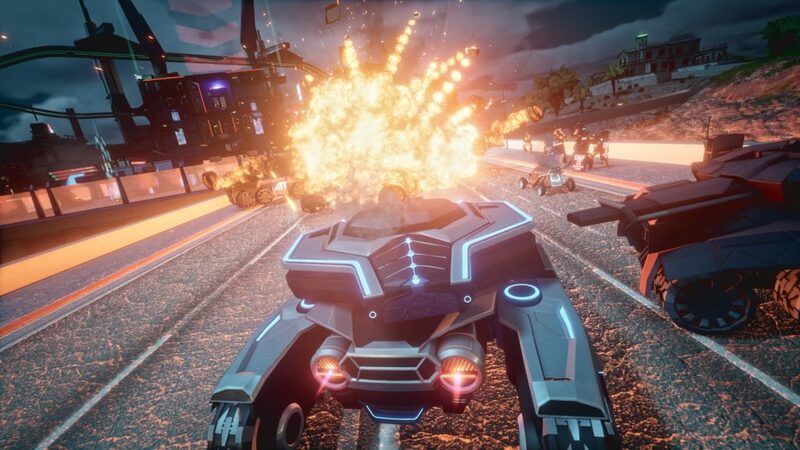 Although I will say that this had the (more than likely) consequence of making me feel like a certified badass, able to mow down scores of enemies even at the beginning of the game.